We’ve rounded up the new and used Volkswagen vans with the lowest and cheapest insurance groups under the 1-20 rating system. Volkswagen is the second biggest player in the UK van market after Ford, and its models hold a special affection in the hearts of owners, thanks to decades of heritage from hardworking panel vans and handsome campers. Joint with the panel van version, the 2010 model year Caddy Kombi is the cheapest Volkswagen van to insure with a starting group of 5E, which covers the 1.6 TDI 102PS diesel with either a manual or a DSG automatic transmission. The Kombi is as flexible as the Caddy comes, as it has space for five occupants plus a large loading area for all your gear. The people carrier window van variant also starts in insurance group 5E, which is handy if passengers are a priority. 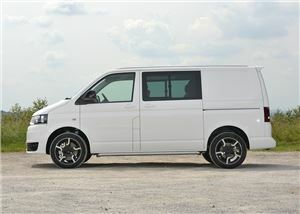 The conventional panel van version of the 2010 Caddy also kicks off in insurance group 5E. As with the Kombi, that group limits buyers to the 102PS 1.6-litre TDI diesel model, though the panel van is also available with a lower-powered 75PS version of the same engine, which occupies the same 5E group. There’s a wide choice of trim levels including Bluemotion, Trendline and Highline, again in the same insurance group, while the panel vans typically do not exceed group 7E. 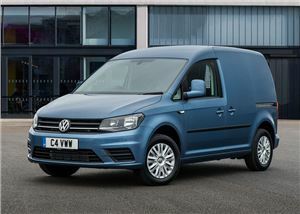 It may be larger than the Caddy, but the previous generation panel van version of the Transporter starts in the very same insurance group of 5E. However, if you want the very lowest insurance group, you’ll have to settle for a short-wheelbase version, and the bottom-end 84PS 2.0-litre TDI engine, but you can still have Trendline and Highline trim levels. More powerful versions with longer wheelbases range from groups 6E to 14E. 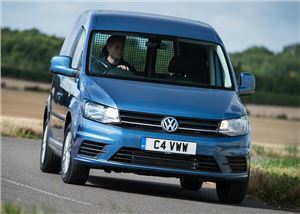 The crew van and minibus versions of the last generation Transporter start one insurance group higher than its panel van equivalent, at group 6E. 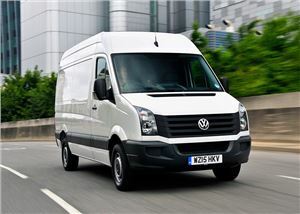 Van buyers who need seats but want their premiums as low as possible have a much wider choice than they do with the panel van, though, as both short and long wheelbase versions are available in group 6E, along with a wider choice of power outputs from the 2.0-litre TDI diesel engine, DSG automatic transmission and four-wheel drive. 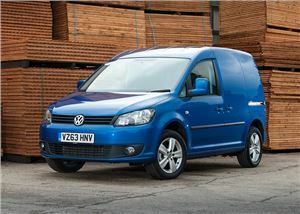 The latest generation of the Volkswagen Caddy starts one insurance group higher than its forebear, in group six. If you want the lowest premiums, then you’ll need to stick with the 102PS version of the 1.6-litre TDI diesel engine and either Startline or Trendline trim levels, though the former variant is available with a DSG automatic transmission within the same insurance band. More powerful 140PS TDI models start in group seven. 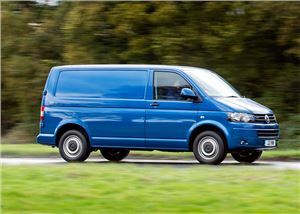 Like it’s smaller Caddy sibling, Volkswagen’s current best-seller, the T6 Transporter, kicks off in insurance group six. The good news is that you get plenty of choice of models in this insurance group; both panel and window vans are available, with medium and high roofs, while engines span everything from the basic 84PS version of the 2.0-litre TDI engine, to our favourite – the 102PS variant – to the potent 204PS unit. A DSG automatic transmission, four-wheel drive and multiple trim levels can also be had with T6 Transporters in group six. 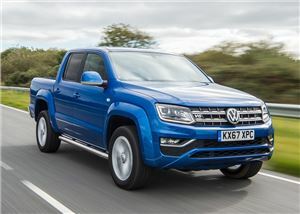 Volkswagen's solitary pick-up is one of the best around, with great on-road handling and a refined engine and drivetrain. Like the Crafter, it also starts in insurance group 7E, which applies to the 122PS Starline model with selectable four-wheel drive and the 163PS Highline trim, with permanent four-wheel drive. Other variants range from group 8E to 10E, however, a cheaper, manual version is on the way, which is expected to reduce the cost of cover. Given its size, Volkswagen's largest current production van starts off in a palatable insurance group: 7E. That gets you a short-wheelbase model with a punchy 140PS 2.0-litre TDI engine, though you’ll have to pay more to cover larger versions, as the medium and long-wheelbase bodies start in group 9E. It may be a big van, but the Crafter is still good to drive, comfortable and refined. 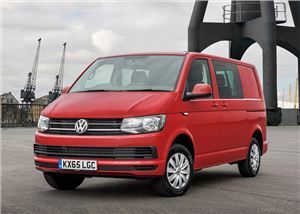 Passenger versions of the current medium-sized van kick off in insurance group seven, and there’s no shortage of versions available within that group. They start with short-wheelbase, lower-powered models with 84PS and 102PS, and rise through long-wheelbase and high-roof variants with DSG automatic transmissions, four-wheel drive and a multitude of specifications. T6 Combis go as high as group 10, while minibus versions reach group 14, but the vast choice in group seven should do the trick for most. 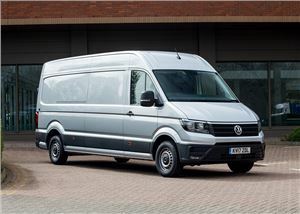 The previous generation of Volkswagen's large van starts in insurance group 7E, but that does limit you to the basic 88PS short wheelbase model, which can struggle with a full load on board. A far broader choice is available between groups 8E and 17, which opens up a vast range of TDI diesel engines and different body types such as high roofs and window vans.